Investing in marketing automation can be a hard thing to decide on for a marketer, especially now that a lot of people are seriously doubting its value. Marketing automation has always been about enabling marketers to set off messages based on visitors’ actions on a site, sending messages when they are most relevant rather than spammy. On paper, it looks like a huge deal of help for email marketers to boost lead generation efforts, and people are starting to buy into it. But despite its promising advantages, marketing automation still leaves a lot of reservations and uncertainties to those who are still on the fence. To help you make a decision here’s a collection of lead generation statistics that testify to the utility of marketing automation. Check out our Marketing Automation and Lead Nurture Tool! Assess your Sales Leads: Is Hot, Warm or Cold? A typical telemarketer makes at least 140 live calls, talks to at least 40 decision-makers, acquires at least 10 fresh contact emails, and sends out reference materials to at least 140 contacts – all in a day’s work. That looks quite a lot to finish in a plate – unless you’re a foodie. Look at every lead as an edible opportunity. Imbibe hunger for it. Whether it’s HOT, WARM, or COLD, it’s still comestible, isn’t it? https://www.callboxinc.com.au/wp-content/uploads/2017/03/VIDEO-THUMB.jpg 1080 1920 admin https://www.callboxinc.com.au/wp-content/uploads/2019/01/callbox-logo.png admin2017-03-17 04:41:442017-05-05 02:20:58Assess your Sales Leads: Is Hot, Warm or Cold? Whether you admit it or not, email marketing is still one of the most reliable marketing channels in terms of lead generation. That speaks volumes, because the fact that it is permission-based should make it more of a challenge getting them opened, the same way that it is a challenge for marketing minds to craft emails that get opened or get leads to convert. The point is, email marketing works. You just have to know how to make it work for you. I’m sure there was a time when, upon opening and reading an email, you said to yourself, “What kind of trash is this?” or “I could have made a better email myself.” or something along those lines. Believe me, I know how you feel. I’ve been in this industry long enough to have used all sorts of marketing channels — email marketing included — yet, there’s never a day that I don’t learn something new. Take email marketing for instance. New concepts crop up literally daily, but the fundamentals remain almost the same. In this video series, you’ll learn not only the fundamentals but also some valuable tips and tricks that would improve the chances of your emails getting opened – from ensuring they’re mobile-friendly to making sure they’re as personal as possible. 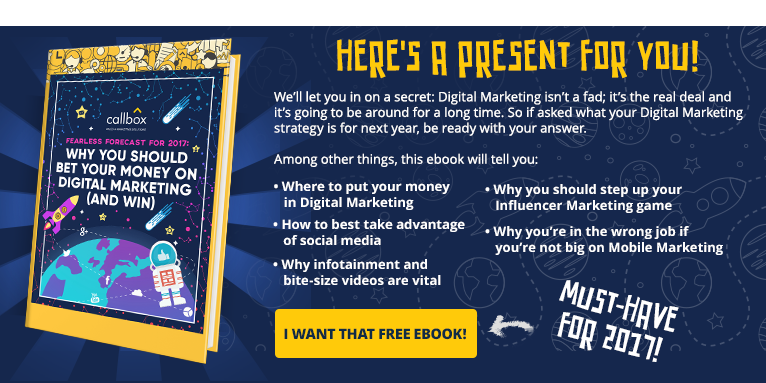 This video series is not a panacea for your email marketing ills, but if you use them, I’m pretty sure you’ll see some positive changes. Really, I am one with you in your quest to never having an unopened email again. Mobile Marketing isn’t the future — it’s the present. And if you’re not exerting a significant effort in your mobile marketing, you’re already lagging behind the competition. This also applies in email marketing. In this episode, you’ll understand why it’s important to optimize your emails for mobile usage, and learn some tricks that’d come in handy along the way. Unless it’s from the state lottery department and it begins with “Congratulations!”, rare is the email that leaves an indelible mark in our busy daily lives. That’s because emails are not exactly the most personal means of communication. But it also doesn’t mean you should just be contented in sending run-of- the-mill messages that convey zero emotion or sincerity or both. Pro tip: The more personal your emails are, the better the chances of them getting opened, and ultimately, getting a positive response. Here’s how to craft emails that would make the guys at Hallmark blush. Books have synopses, movies have trailers, even sporting events have game previews where the protagonists tell the viewers what to expect come game time. Some, like boxing and MMA, make it even more interesting by making the fighters talk trash to each other, get into each other’s nerves and exchange blows even before the bell. That’s creating hype, that’s how tickets are sold, and that’s partly how fighters earn eight digits in less than a hour. Similarly, that’s what should be done when writing an email. If you can sell it — meaning, make it interesting enough for the reader to open it and read the contents — just by the subject line alone, you should be inducted in the marketing gods hall of fame. See your ticket below. Everybody is so busy these days we all need to be direct and straightforward. Most, if not all would agree if I said getting straight to the point works for most situations — in courtship, firing an inefficient staff, and even when doctors tell their patient their prognoses. I mean, I like details but unless it’s a really nice book or a series, I prefer knowing the meat of the matter ASAP. Same is true with emails. Save the preamble for your novel. Just cut to the chase and tell the prospect what’s it about. Here’s why. AskCallbox: What makes an effective lead nurturing program? Very clearly, lead nurturing is an effective marketing tool to transform what were merely leads in the ToFu to paying customers in the BoFu. I will let you in on a secret: everybody can use lead nurturing to their advantage, and that includes you. I know you’re excited, but before you begin any lead nurturing program, you need to clearly define goals so you know what is considered “success”. We all know there’s always that “everything depends on perspective” thing. A 100% increase in converts may spell success for you, but to others, it may mean nothing. See, without clear objectives of what you are trying to accomplish with your lead nurturing campaigns, you will never know if you’re seeing success or not. Now think of a concrete and measurable goal. You can even write it down. Now, here’s what we’re going to do to realize those goals. Build a good list of prospects, (operative word: good) from which you define buyer personas and do progressive profiling. Everything, and I mean everything, starts with a good-to-great prospects list. If you can tell yourself you have a pretty decent list, throw it away. You need at least a good one, or else everything that follows will be exercise in futility. Related: AskCallbox: Where Do you get the List? From the list, you have to understand who it is you’re trying to reach. It will provide you with a tremendous marketing and sales advantage. Creating buyer profiles takes time, but once completed, they focus and leverage your efforts. You simply cannot have a consistently effective nurturing program without clearly defined prospect profiles. Get updated and targeted business list of your target market! If you have already mapped out the number of touch points you need and determined which channels to use – it could be email or phone or social media or all of them – you’re ready to engage them. After sending the initial information about the products or services, you can follow-up by phone. By now, you should have already been able to determine if the target decision makers are receptive or not. If they aren’t, you can try and reach out to them via social media. They have to be reachable somewhere; it’s your job to cover all bases and figure out where that is. And remember, key to engaging your prospects is not just giving them any old marketing bit you have prepared, a brochure or a link – it has to be relevant to them and their business, and you must give them that information in a timely manner – at a point when they need it and are actively looking for it, not before, not after. Win them over with a final push! Sometimes, all it takes is a little nudge to make the prospect say yes. Apply all the theories in Psychology to get that sweet yes. Try reciprocal concession: If there is an expensive and a cheap model of a product, it’s better to advertise the expensive one first. Selling down works better than selling up. We feel more responsible and satisfied after agreeing to a concession. We think we have brought that change. Use social proof: We view a behavior as more correct in a given situation to the degree that we see others performing it. The more number of people doing it, the more the rule works into making us believe that the behavior is correct. We use behavior of people (like us), to determine proper behavior for ourselves. Mention how many people have bought the product in the past 48 hours and the prospect might just give in. You have to understand that an effective nurturing program actively moves the prospects you’ve created through your marketing and lead generation efforts, through a complex sales development process to the point where they become paying customers. Yes, anyone can enjoy the benefits of an effective lead nurturing program. You just have to be willing to invest time and resources and patience and ingenuity. The list is quite long, really, but in the end, it’s all worth it. Here’s what you’ve missed! AskCallbox: Where Do you get the List? Learn more how to increase leads with our lead nurturing program or dial +61 2 9037 2248. Target more tier 1 accounts, generate more sales meetings, and grow pipeline value faster with Callbox’s multi-channel ABM solution. Check out this video. Can B2B marketers utilize gamification as a lead generation strategy to engage prospects and leads? Today, we show you how. Get the free resource and Learn from sample IT/software buyer personas, plus actual telemarketing scripts tailored for each key buyer role. https://www.callboxinc.com.au/wp-content/uploads/2016/05/AskCallbox-Mitos.jpg 352 800 Christian Jagorin https://www.callboxinc.com.au/wp-content/uploads/2019/01/callbox-logo.png Christian Jagorin2016-05-30 08:14:182017-05-05 06:02:28AskCallbox: What makes an effective lead nurturing program? AskCallbox: Where Do you get the List? Building a good list is important, but it may take a long while. When you need a torrent of leads at the top of the funnel, buying a list is an easy solution. When there’s a known need, nature will find a way to supply. Naturally enough, there’s an industry that focuses on sales lead generation so you don’t have to. Most of these services let you segment and sort millions of contacts online, revealing the most vital details (name, email, phone) once you purchase the list or sign up with an annual subscription. Most companies have their own internal marketing data research, and coupled with advanced online searching, sales lead generators gather, cross-reference, scrutinize, and deliver email, phone, and other pertinent data. These are then supplemented with other data such as employee growth rate, business history, size of market served, and salary information. Besides selecting targets by number of employees and industry, sometimes, the targets’ location and proximity are also considered. If you think letting internal marketing research do all the dirty work consumes so much and effort, worry not. Whether you are looking to build a target list on the basis of geography, industry, company size or any other segmentation, there are a number of different sources out there offering business contacts with email addresses and other information. While each of them work on varied models and range from a few cents per contact to several dollars a contact, it’s important to understand the underlying value proposition of each source while deciding on which one will work best for you. Best For: Do-it-yourselfers seeking a fully-curated source, especially those targeting consumers. Best For: Those seeking a fully-curated source, especially for business contacts. Plans are available for do-it-yourselfers or annual subscribers who prefer dedicated, consultative service. Overview: With Hoover’s, you can run your own searches, using its Lead Builder tool, or you can subscribe on a monthly or yearly basis and work one-on-one with a representative, to build your lists. Best For: Do-it-yourselfers seeking a collaborative, potentially lower-cost solution. Overview: Jigsaw is a collaborative database of contacts. You can buy contacts with money or with credits earned from sharing your contacts or correcting Jigsaw’s list. Data quality depends on the quality of Jigsaw’s collaborators. For most marketers, purchasing lists is still the easiest way to fill a pipeline. Again, remember to carefully evaluate what you’re getting in terms of value from each of the third-party sources mentioned above and select the one that checks all your boxes. Have regular data cleanup to check your database for errors or get a targeted business list for your marketing campaign! Contact us or Dial +61 2 9037 2248.
https://www.callboxinc.com.au/wp-content/uploads/2016/05/AskCallbox-Charlene.jpg 352 800 Christian Jagorin https://www.callboxinc.com.au/wp-content/uploads/2019/01/callbox-logo.png Christian Jagorin2016-05-24 23:33:392018-05-09 10:19:04AskCallbox: Where Do you get the List? AskCallbox: Why would I work with Callbox or any lead generation company when I have an in-house marketing person and my own CRM? I understand you are in as tight a spot as any marketing guy can be: it’s either a win-win or a lose-lose situation, there’s no middle ground. This is a legit dilemma. Indeed, why would you hire some agency to do the marketing for you when you have an in-house team and your own CRM (Customer Relationship Management) platform at your disposal? Simple: the best way to do lead generation is to not do any of it. Let the experts handle it. Let me put it in perspective. Yes, you have a car. It is working fine. If your goal is just to get from point A to B, use it. Drive it even. But if you’re traveling cross-country and you want a stress-free ride and enjoy the landscape and not worry about anything else, rent a car. With a chauffeur. You may know your product or service like the back of your hand, but you may not necessarily excel at other functions your product may require of you, such as lead-generation. By outsourcing to an established marketing agency, you are putting a team of experienced and expert people at your disposal, giving you the advantage of generating the maximum return on your investment while still retaining control of every project. Sometimes, in your quest to make all things great, you may find yourself donning several hats—quickly becoming a jack-of-all-trades and master of none. But in the marketing world, you have to be a master, especially when it comes to lead generation. Teaming with an experienced and successful marketing company allows you to lean on the experts when needed so you can focus on what you do best. Outsourcing your marketing efforts will save you time and money since a good marketing company can strategize, execute, and deliver your needs. It’s like getting all the perks of having a multimillion dollar marketing staff at a fraction of the cost, and with no long-term commitment. See, in-house marketing does not guarantee income. It may have its crest and troughs, but a business still needs to pay its marketing staff their salaries and bonuses depending on performance. Work with a reputable marketing firm and cut overhead marketing costs, as they will be replaced with as-needed costs based on your budget. As the business owner, you could start with a variable marketing budget and later on, as you can feel significant ROI, you can establish a fixed budget and develop a marketing plan. Or better yet, get the services of that same agency again. Most sales and marketing firms are not dependent on one person. They rely on a cohesive team of experts who have mastered every step of whatever process they have in place. Callbox, for example, works on a system of processes that functions like clockwork. We have technology in place for your campaign to run smoothly and successfully. 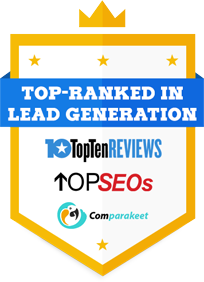 We provide multi-channel lead generation services that are designed to help get you in front of your target prospects at the best time — when they are most interested and ready to listen to what you have to offer. Our SMART (Sales and Marketing At the Right Time) Calling system helps produce high quality sales leads by tracking exact times of lead activity and responding promptly at every opportunity. From emails, SMS and postal mail sent based on pre-set triggers, follow-up calls made to opens and replies, website visits, and social media connections – Callbox ensures you spend time only on sales-ready leads. A proven technology and an efficient system are two benefits you may not have in your in-house team. In-house teams can struggle to execute things they haven’t done before. The learning curve can be pretty steep. Having a seasoned agency handle your lead-generation campaign means avoiding a significant part of the learning curve. Aside from that, a lot of employees are very reluctant when it comes to talking about company sales, marketing strategies and efforts or anything along those lines. Who would blame them? Most of the time, sharing an opinion that’s different from the one your bosses have can lead to all kinds of troubles. Marketing agency experts, however, will always provide an honest and objective opinion about your business. Outsourcing your marketing team is a critical decision for any company. Used correctly, it can bring plenty of value by putting your organization in expert hands. The key is knowing and understanding your company and its needs and then choosing the right marketing agency to outsource for the future growth of your company. Eager to experience more that outsourcing has to offer? Talk to us today and we’ll discuss your campaign. Dial +61 2 9037 2248.
https://www.callboxinc.com.au/wp-content/uploads/2016/05/AskCallbox-Berns.jpg 352 800 Christian Jagorin https://www.callboxinc.com.au/wp-content/uploads/2019/01/callbox-logo.png Christian Jagorin2016-05-11 07:21:502017-05-05 02:58:52AskCallbox: Why would I work with Callbox or any lead generation company when I have an in-house marketing person and my own CRM?